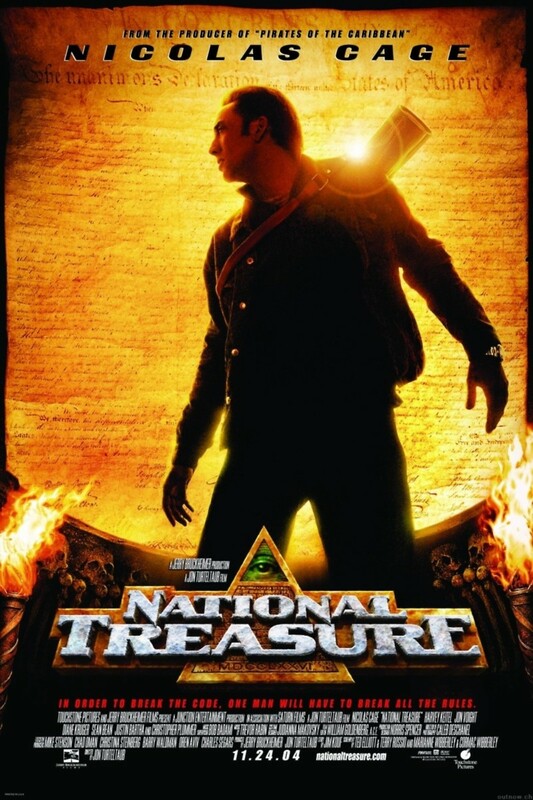 Historian Benjamin Gates (Nicolas Cage) has dedicated his life to search for a rumored secret family treasure. When he finds a clue that requires him to search the back of the Declaration of Independence, his life becomes very complicated as he discovers his old associate Ian (Sean Bean) is planning to steal the historic document. To prevent that, Benjamin takes it instead, and is caught in the process by museum curator Abigail Chase. She goes along to protect the document and quickly ends up in danger. When his father is pulled into the fray, Benjamin is forced to cooperate with the enemy even though he wants the treasure as badly as they do. Will he sacrifice his family and Abigail in order to finally reach the treasure?